Not all coughs are the same, so you shouldn’t treat them the same. And sneezes? A completely different animal. Are you sure you’re getting the right medicine from the pharmacy? 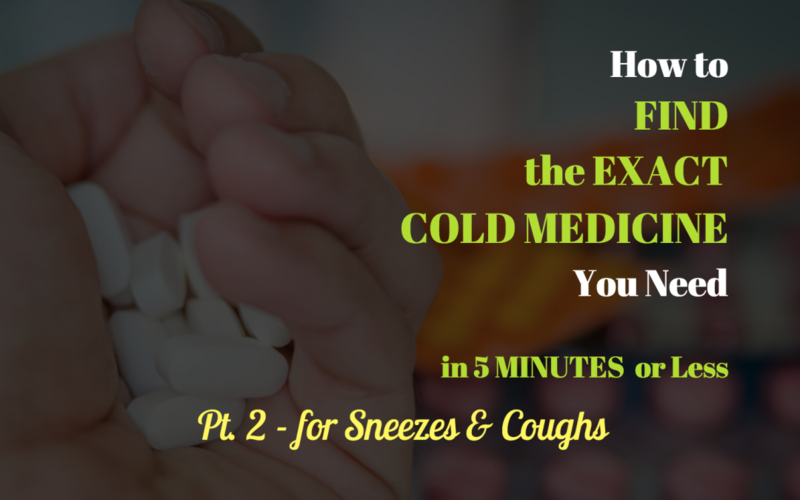 In Part Two of How to Find the EXACT Cold Medicine You Need, I’ll help you figure out which kind of cough you have and what kind of medicine treats it. I’ll also help you figure out what medications help with sneezing. 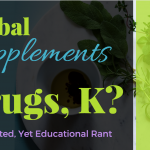 If you haven’t read Part One of the November Cold Series (“How to Find the EXACT Medication You Need for Stuffy Noses”), read the next section to find out more about the series. If you’ve already read Part One (thanks, by the way! ), you can skip to the section called How to Get Rid of A Cough When You Have A Cold! Have you ever in your life looked forward to getting a cold? Do you live for the chilly months when your child brings home yucky bugs from school and spreads them to everyone in the house, especially her favorite person–you? I thought not. Unfortunately, our fervent desires to never catch a cold again are not realistic. Since we all have to deal with with a nasty cold every now and again, how would you like to save some time and money during the process? That’s what Your Friendly Public Health Pharmacist’s November Cold & Flu Series is all about! In this series, you’ll learn the secrets to navigating the pharmacy cold & flu aisle. And at the end, YFPHP email subscribers will get their own smart-phone guide to get in and out of the pharmacy cold & flu aisle in 5 minutes or less! You know those people who have uncontrollable coughing fits for like a minute at a time? Yeah, none us of want to be around or be that person. Why do we cough when we have a cold, anyway? Aren’t our immune systems supposed to protect us from these bugs? Think of your immune system like your body’s army. The army sees a threat (the cold virus) and attacks it. The mission of the cold virus is to keep growing as much as it can. The mission of your immune system is to overpower the cold virus and get rid of it. Your immune system has all types of tricks up its sleeves to fight the cold virus. Unfortunately, those tricks cause you to feel like crap. One of those tricks is producing mucus. Oh, joy! You have a wet (productive) cough so that you can get the mucus (which contains the virus) up and out of your body. Sometimes the mucus is so thick that it’s really hard to get out. Because the causes of wet and dry coughs are different, they are also treated differently. Expectorants are medicines that help you cough up the mucus in your chest. Antitussives (cough suppressants) help block the body’s cough reflex altogether. It’s tempting to want to stop the cough, but if the mucus just hangs out in your chest for too long, you could get even sicker. 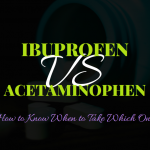 Because of this, many people choose expectorants or a combination drug that contains both. If your cough is bloody, thick and bad-smelling, sudden and severe, worse when you lie down, or lasts more than 7 days, see a doctor. 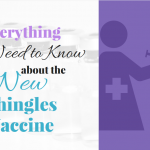 See a pediatrician for any coughs in babies less than 3 months. Sneezes happen when the nose or throat are irritated. Again, the immune system army is to blame. 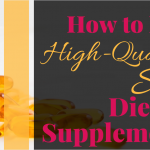 It releases histamine, which causes inflammation that can irritate the nose of throat. This is why antihistamines (literally, “against histamines”) help reduce sneezing. So What Medications Do I Get from the Pharmacy? 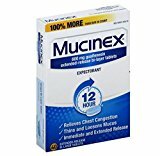 EXPECTORANTS – Expectorants help you get rid of the mucus in your chest. Nausea and vomiting are possible side effects. COUGH SUPPRESSANTS – Dextromethorphan blocks your body’s cough reflex but can cause stomach upset, dizziness, and restlessness. Pro Tip: When you see “DM” on a cold medication, it means it contains dextromethorphan. 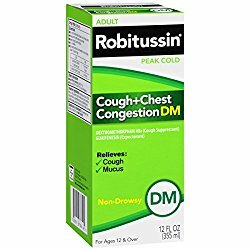 There are LOTS of different types of Robitussin. Be sure to read the label to make sure you get the right one. If you’d rather not spend precious time at the pharmacy, you can always buy your family’s over-the-counter meds online through Amazon. 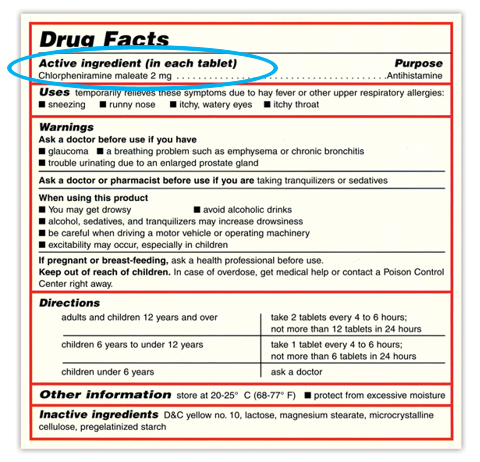 If you do decide to purchase online, you should still read the active ingredients to make sure you’re ordering the right medication. 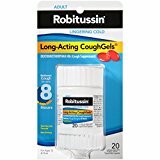 The medication pictures and links in the November Cold Series will take you directly to the products on Amazon.com. COUGH SUPPRESSANTS + EXPECTORANTS – Some people want to cough less, but if they must cough, they want it to be “productive.” In that case, they may use a combination product. Are There Natural Options for Treating a Cough? Some people should not take cold medications – that’s fine. Some people just don’t like medications at all – also fine! Some of our precious little people are too young for cold medications – no problem! There are some natural alternatives and ways to ease a cough at home. Check out this blog post for 6 cold home remedies you can use. My personal favorite, aside from those hot toddies (ha! ), is one I use for my own precious little person. When he has a cold, I do a few things. 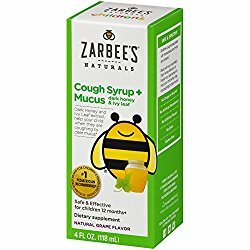 In addition to using a cool mist humidifier (this one I was gifted at my baby shower), a crib wedge to elevate his head (this one), and making sure his room is a comfortable temperature, I also give him a dose of Zarbee’s Cough Syrup before bed. I’ll be writing a separate post about why I’m #TeamZarbees, but in short, the great thing about Zarbee’s is that it contains “normal” ingredients. (People get carried away with the word “natural” but that’s a post for another day.) Dark honey, vitamin C, and zinc. Those are the main ingredients and they help my Precious Little Person (and his parents!) sleep much better at night when he has a cold. I usually have to hide the bottle from him or else he asks for it as a snack. Zarbee’s also has products that don’t contain honey since honey isn’t safe for babies less than 12 months old. Do you prefer natural remedies or medications for your coughs and sneezes?